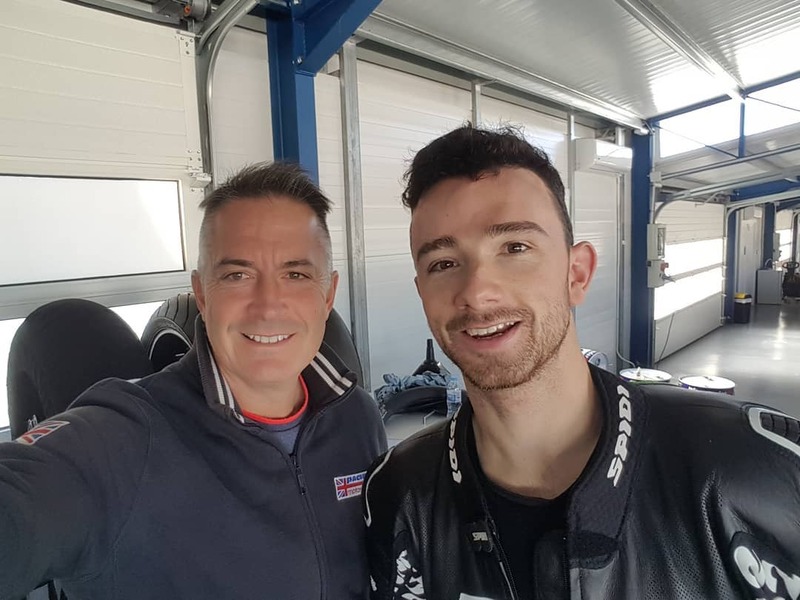 We recently had the pleasure of catching up with Jon Ashthorpe, general manager of Pacific Motorsport – one of the UK’s premium European track day companies. 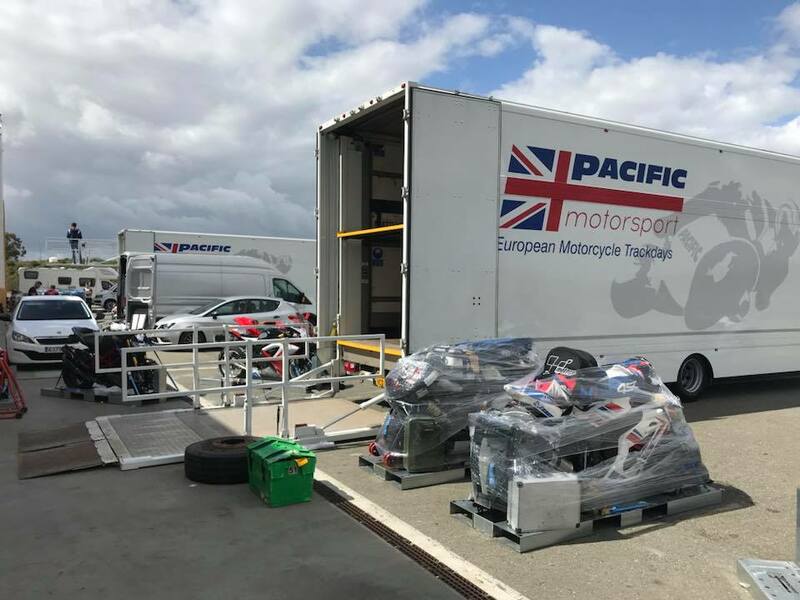 Pacific Motorsport was born out of a haulier company, whose owner saw a gap in the market for a premium service for track day riders. Providing protection for both the bike and the rider, Pacific Motorsport are experts at what they do. In the video above, Jon talks us through what to expect on a European track day and what sets Pacific Motorsport apart from the rest. Are all your track days in the UK? We do European circuits – mostly they’ve been in Spain but we are looking at our 2019 calendar and there will be the usual circuits like Jerez, as well as Monteblanco and Cartagena. We’re also looking at different circuits around Europe, including France. Why would riders choose a track day in Europe as opposed to one in the UK? It’s the most cost-effective way for someone to get on a track – in the UK if you were to do one of the premium circuits it’s near enough £200 for the day. You are not necessarily guaranteed good weather on that day and if you break down the cost per day of going out to Spain, it’s going to be more of a similar price but you’ll also have almost guaranteed weather. You are getting your bike transported out there, you have a hotel and breakfast all included in that cost. We use our very own moto pallets which provide individual security for a bike. They’re secured by the rear wheel, which means there’s no extra pressure on the suspension of the bike. They are then stabilised at the front. All of the customer’s tyres, their toolboxes, their leathers and everything are transported on the pallet. The pallet is then wrapped and individually put onto a pallet truck so it never moves more than six inches above the ground and is then loaded into our bespoke trailers. What if a potential consumer doesn’t own a bike? We have hire bikes that people can hire from us and we work with people if they have hired a bike from another company. We are more than happy to transport their bike to whatever event that we are running. What steps does a rider need to take in order to sign up on a trip, is it completely hassle free? Completely hassle free! If you go onto our website it will tell you exactly what you are getting for your event. It will be the number of track days and we always include an extra day in the hotel which are all four star or premium hotels. We also include repatriation insurance so if you are not necessarily a frequent user of track days, you don’t have to source your own insurance. If it is your pride and joy that we are taking for you, then that will be transported one hundred per cent safely and securely. What do riders get for their money? Transportation, hotel, insurance and of course we do have pickups around the UK in Redhill (our Head office) and also Manchester, Ireland and Brussels. We will have an assigned day for the bike drop-off; we always try to ensure that the bike is away from the customers for the least time as possible, so it will potentially be the Saturday before an event until the Saturday after, so they have a two-week gap. At our event we will have instructors who customers can book for personal tuition. There will be a tyre service available and on most events there will also be someone with suspension or setup that they can purchase at the circuit. What issues would your customers face if they tried to transport their bike to another country themselves instead of using your service? Well, the hassle anyone is going to expect if they are trying to take it themselves or if they have their own van – the cost of fuel, breakdown and anything like that would be an issue. The ferry cost just getting across to the continent is going to be near enough half the price that they are already paying for us to do that. Where is one track day that you feel every rider needs to experience? Well personally my favourite track is Jerez – it’s one the best and most iconic circuits not only in Europe but the world. What destinations are you hoping to add in the next few years? Always looking at different circuits that we’ll be able to go to, not necessarily just in Europe – we’ve thought about other global circuits but it’s ensuring that it’s the most cost-effective for the riders as well. For riders that have never been on a Track Day – why should they give it a go? If you’ve never been on a track day, the safest place anyone to ride a motorcycle is on track. It gives you the chance to experience your bike in the safest environment; you can see exactly what your motorcycle can do, you don’t have the added complication of traffic coming the other way and if you’re on the roads then there’s not so nice things like kerbs, lamp posts… on a circuit you don’t have that. It’s the safest environment for anyone to ride a bike. At the circuits around Europe you’ve got probably the best weather conditions for an event. On UK track days unfortunately you tend to be limited to only a single day where you are pretty much at the mercy of the elements. One of the things that you’ll get with Pacific Motorsport is very small groups sizes, which gives you the most track space and the most track time. Have you had any well known riders attend one of your track days? Our favourite famous rider probably is Ieva Baublyte – Ieva comes with us on a few of our events – we’ve also had Scott Redding, Levi Day, Frasier Rogers and Ben Godfrey, so we’ve had a number of racers attend but these are the track days not the race events. What is the key element of your business? Probably the safety of the transportation of the bikes. 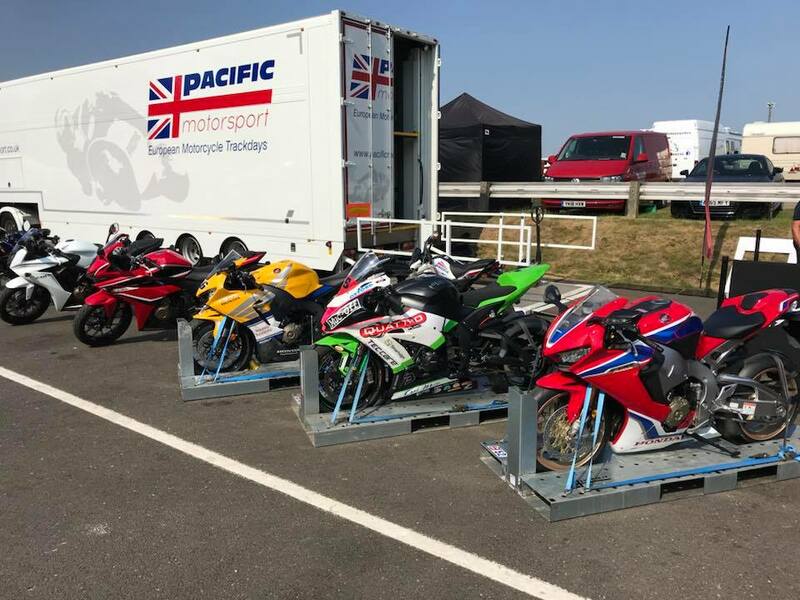 We’ve got our very own moto pallets that took twelve months to design – there’s been heavy investment in them and the owner of the company, Douglas Drake, looked at what the other track day companies were using, and came up with a system that gives you one hundred per cent guaranteed damage free. The bikes go on by themselves, our trailers are specifically designed so that they will take these pallets and is unique within the track day world. The pallets do not move more than six inches off the ground at any time, so it’s the safest and most secure way for your pride and joy to be transported around Europe. Our Honda Grom accompanies us on all of our track days and has been provided by Doble Motorcycles, the UK’s largest Honda dealer. Can a customer take their own road bike to a European track day? For our track days you don’t have to have a race bike, although if you brought a Grom then you are pushing the envelope just a little bit. We do run choreographed timing so it will sort people by their speeds. A lot of our customers do bring their road bikes in various guises but it’s just a fantastic opportunity for people to try their road bikes in a nice, safe environment. Where can customers find more details about Pacific Motorsport? On our Facebook page, Pacific Motorsport, or go onto our website www.pacificmotorsport.co.uk.